Empower More Employees To Make Better, Faster Decisions. Data never sleeps, which means you and your business can’t either. Okay, maybe not literally speaking… you have to sleep to be healthy. But, to ensure the continued health and growth of your business, you should be monitoring many metrics around the clock. Unfortunately, due to the volume of data most companies produce, this task is very daunting — many executives lose sleep just thinking about it. The problem is that most businesses generate way more data than any individual can review, let alone understand and interpret. Across marketing, sales, customer support and finance alone, there are hundreds if not thousands of processes and metrics that must be tracked. You could hire more data analysts. But, can you afford that and is it the most effective method for helping all of your employees make better decisions more quickly? Smart companies aren’t hiring an army of analysts. Instead, they’re empowering each of their employees with access to the data they need to do their job. With the rise of SaaS applications, mobile apps and APIs, it is easier than ever to arm everyone with a view of the data that’s most important to them and their role. Now, every employee can be equipped with the tools they need to measure, analyze and act on data. And while no one has invented a way for employees to interpret data in their sleep, with mobile access, employees can access all of their data at any time and any place. The technology used to track business performance is too complex for your employees. In most companies, generating a report or creating a simple Key Performance Indicator (KPI) dashboard requires an analyst and advanced excel skills. You might even need to hire a technical person to create a simple report if you’ve invested in a business intelligence solution like Microstrategy, Tableau or GoodData. To compound the challenge, your key metrics probably reside in different software applications. Figuring out how to pull data from multiple systems is a lost cause for some. 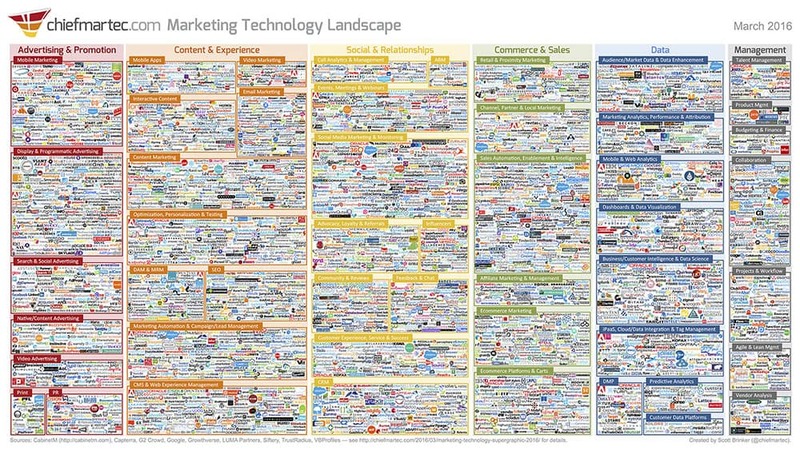 “Most marketers are already using over 100 software programs” according to Scott Brinker, an analyst who tracks thousands of marketing software companies in his Marketing Technology Landscape. Add sales, finance, invoicing and other systems and you might as well forget it. But, even if you do manage to pull all of your data into a system that enables analysis, now you have to translate your insights into tangible next steps. If you’re reliant on analysts and loads of software, the data might be irrelevant or incomplete once you have it in your hands. Now you’re back to square one. You don’t need another analyst or another tool that only analysts know how to use. Beyond having access to the data your organization creates, your team needs to be able to act on it — quickly. At the pace of business today, decisions have to be made quickly. Yet, your data isn’t available to you at all times because it requires you to be sitting in front of your computer. Why wait until you get to the office to analyze how your team performed yesterday? Why risk losing a new client while someone at the office compiles the information you need to close them? Why wait until you can get back to your computer from a day of meetings to run a report? Access to data anytime, anywhere allows you to address issues and course-correct in real time. It also allows you to capitalize on opportunities by doubling down on things that are working well now. You and your team need your metrics available to you on every device, everywhere you are. You need access to your metrics on your mobile, desktop — and maybe even projected to a flat screen in your office to keep your team focused throughout the day. As “anytime, anywhere” employees, we all are spending more of our day-to-day on mobile devices. As a result, we’ve become accustomed to using consumer-grade software in business too. You expect your business software to be as easy as Facebook or Uber. Nowadays, business software must be easy to setup and use, be delivered online and via mobile and employees must be able to self-service. Waiting for IT to install software, train your team on it and then for analysts to prepare and send reports via email does not work for the empowered, independent employee. For a company to be truly data-driven, easy access to key metrics is a necessary starting point. We’re not the first ones to declare that “analytics should be for everyone”. But, companies often fail to realize the benefits of an empowered team when the team doesn’t have real-time access to data. .
With out of date or incomplete data, your team is still making decisions blindly. Have you ever been in a sales and marketing meeting and not had access to a critical sales figure or marketing campaign metric? Have you ever been solving a problem that’s already been fixed, because you’re looking at old data? Have you ever fed the wrong data into a future model, only to discover later that you’re building a plan with misguided assumption? All of these issues are avoidable with access to data in real time. At Databox, we’re building Analytics for Everyone. We believe that everyone within your the organization should have access to the business data needed for their role. When employees are empowered to make informed decisions themselves, they are happy and more committed — increasing morale and productivity at the same time. And you can rest easy knowing that everyone has access to the most current and relevant data. How do you enable access to data at your organization? Have you noticed a difference with your employees after opening things up? Davorin Gabrovec is Databox's Chief Product Officer. He's obsessed with products, design, and building great teams. Davorin was previously a professional athlete, a Martial Arts World Champion. Here are 8 reasons that your business will grow and your support team will thank you when you track the causes of new customer support inquiries. If you want to learn which authors write the best content on your blog or the performance of your recent blog posts, use this guide to bring in data with Google Tag Manager.